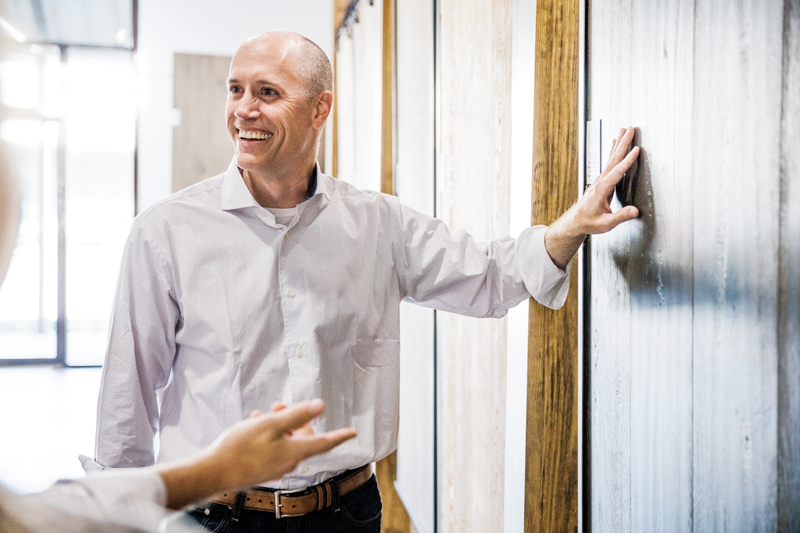 Drew Goneke, founder and chief executive officer of residential and commercial flooring company South Cypress in Birmingham, grew up in the flooring business. His grandfather, W.B. “Tommy” Humphreys, started working in flooring after returning from War World II. Goneke’s mother and father later took over Humphreys’ Mobile-based flooring company and still run the successful and popular Payless Carpets and Flooring. Goneke didn’t intend to follow in their footsteps. “I was young, and I wanted to do something different than they had done. Make my own mark rather than just joining the family business, ” he says. But after attending the University of Alabama at Birmingham and playing baseball for the Blazers, at the age of 23 Goneke got the idea of starting an internet-based flooring business. 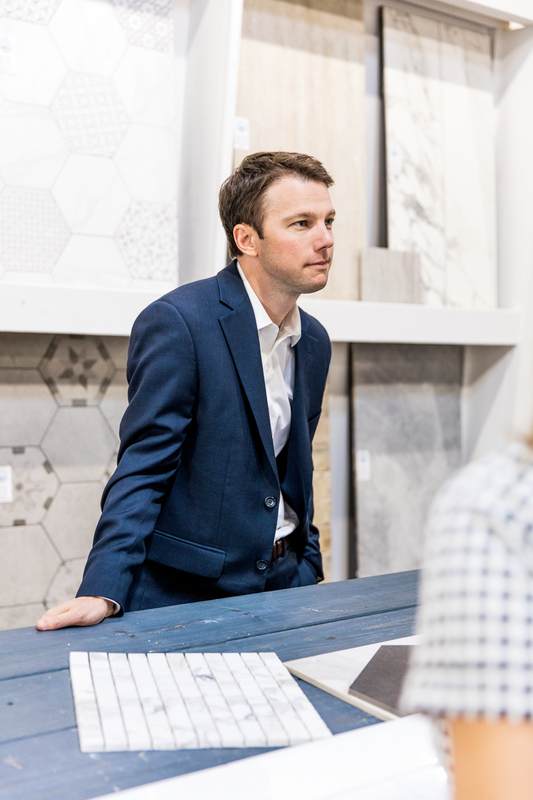 Through the internet, Goneke believed he would be able to offer buyers a greater selection of quality tile, stone, glass, wood, laminate and vinyl floor coverings. “The internet was the attraction for me. The internet provided the opportunity to reach a much wider national market than a local flooring business, ” Goneke says. In the beginning Goneke brought the best national brands under the umbrella of his website, allowing customers to easily shop multiple brands, get excellent customer service over the phone and via internet and receive simplified delivery. The e-commerce site offered high-end products at good prices. “We wanted to make the entire process of shopping for flooring more pleasing and efficient, ” Goneke says. That same year, Goneke paid off the investment his family had made in his company. “I was very fortunate they believed in me enough to invest in my idea. And they received a great return on their investment, ” he says with pride. Extreme emphasis on customer service is one hallmark that sets the company apart from a slew of other online flooring options. The online shoppers are sophisticated, with customers in New York, California and Texas recording the biggest hits. Sales staff spends one-on-one time with them on the phone, and valued repeat customers get a personalized video as part of the service. But the next step in the company’s evolution called for more than video. As Goneke’s business continued to grow after 2012, he and his managers saw the need for new capital investment in his company’s digital presence and to create a showroom. “While e-commerce is a great way to reach customers, we decided we also needed a showroom to engage our customers even more by providing them a creative space for inspiration, ” Goneke says. South Cypress saw a 40 percent increase in sales growth in 2015. While sales for 2016 have already outpaced 2015, Goneke expects the percent increase for 2016 will be more modest. “We have been actively shifting our focus this year, positioning the company for greater future growth, ” he says. Future plans for South Cypress include the possibility of creating another showroom in a significant regional or national market. “We’re still looking at and discussing where that might be, ” he says.